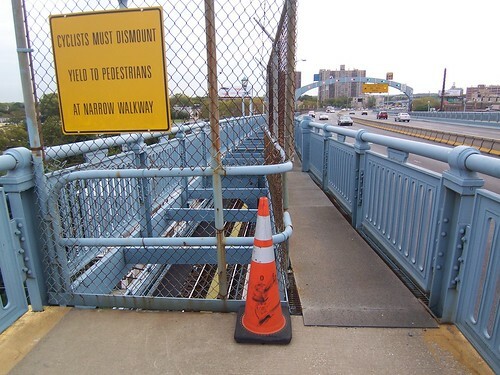 After a longer than expected installation of fiber optic cables the Delaware River Port Authority has reopened the south walkway of the Ben Franklin Bridge. Bridge Hours remain from 6AM to 9PM. Goodbye cattle chute, 5th Street Tunnel, Riverfront Prison Demolition and Sugarhouse Casino - hello Pier 11 construction, Adventure Aquarium and Center City Skyline. They closed the south walkway - again! What's the excuse this time? I wish DRPA would put more information in their alerts.